Ravichandran Ashwin, India's new spin-spearhead, is now the fastest cricketer in the history of Test cricket to have taken 75 wickets and amassed more than 500 runs. 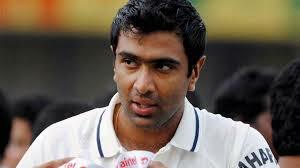 Born on 17th September 1986, Ravichandran Ashwin had earlier captivated the Indian audiences with his bowling exploits in the shorter form of the game, but ever since his Test debut against West Indies in 2011, Ashwin has surprised one and all with his ability pick up quality wickets and also sustain the pressure of filling in the boots of Harbhajan Singh, who has found it tough to get back into national colours. 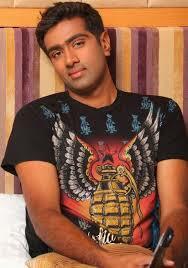 Ashwin completed his Bachelors in Engineering from the prestigious Sri Sivasubramaniya Nadar College of Engineering. The fact that he makes valuable contributions down the the order makes almost a certainty for every match and he already 2 Test hundreds (both against West Indies) apart from a few fifties. His batting was flawless even in Australia, where the top-order could never really get going. 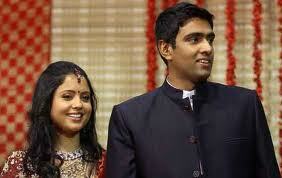 He debuted for Tamil Nadu against Haryana at Chennai in the 2006-07 season. He has an impressive domestic record having scalped 134 wickets in 34 appearances for Tamil Nadu. However, he has made a name for himself in the shorter formats of the game, more so in T-20 cricket where his accuracy and an intelligent cricketing brain has made him a dependable bowler. His first taste of success though came in the form of Chennai who noticed this bright young talent and drafted him into the squad. 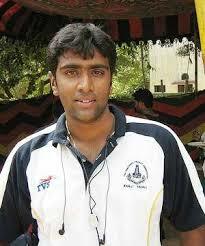 A consistent season at the domestic level earned Ashwin a grade 'D' contract with the BCCI. He also led Tamil Nadu to the domestic one-day trophy in 2009. When Harbhajan Singh opted out of the first couple of games against South Africa at home in early 2010, Ashwin was called in as his replacement. He did not get his chance then but impressive performances for the Chennai in the subsequent edition of the IPL meant that he was always under the radar. His chance finally arrived in June 2010 when India rested several of its stars for the tri-nation series featuring host Zimbabwe and Sri Lanka. He ended up with figures of 2/50 on his debut against Sri Lanka at Harare. His best in the 50-over format came against New Zealand in his home ground when he picked up 3 wickets conceding 24 runs. Ravichandran Ashwin was included in the Indian squad for the World Cup, but Dhoni surprised everyone by playing him in only two games and then surprisingly omitting him in favour of Sreesanth for the final. Ashwin has been consistent in the opportunities that he has got so far and took over as the lead spinner in the Test side after the selectors dropped Harbhajan Singh for the Test series against West Indies in 2011. He formed a successful partnership with left-arm spinner Pragyan Ojha, especially in Tests in India. 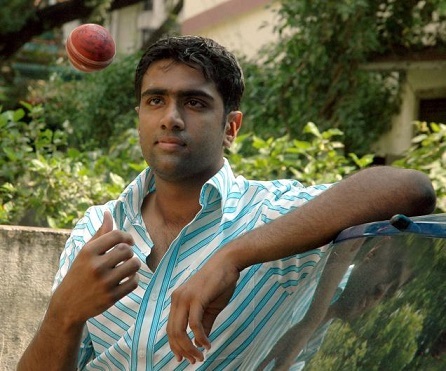 Having played for the Chennai as a home based player and impressing the team management, Ashwin was bought back by his city franchise after a tough bidding war with the Royal Challengers of Bangalore for a whopping 800,000$ in the 2011 IPL auctions. And quite understandably after his very impressive run for India, the BCCI offered him a Grade A contract. Ashwin was adjudged the Man of the Series in the Border-Gavaskar trophy in 2013, he ended the Tests with an impressive tally of 29 wickets and became the third Indian off-spinner to take 25-plus wickets in a series after Harbhajan Singh (32) & EAS Prasanna (26). In the first Test match of the Tendulkar farewell series against West Indies in November 2013, Ashwin got his second Test ton and also put on a record 7th wicket partnership of 280 runs along with Rohit Sharma. In the second game at Mumbai, he became the fastest Indian to reach 100 Test wickets in just 18 matches.